We know many of you tremble at the thought of actual trekking, so we come bearing good news. 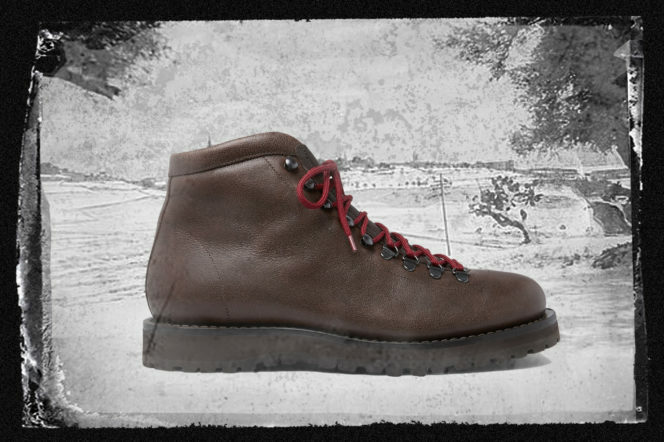 The humble hiking boot, for years left caked in mud abandoned on the doorstep, has outgrown its practical roots. There are some people who have to look good doing everything. Thank the icy tundra, then, for these smooth dark-brown leather boots from Common Projects. 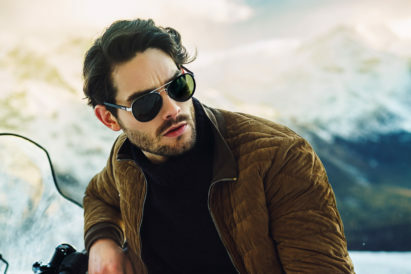 Gilded with the brand’s trademark serial code and complete with comfortable padded rib collars, these are the all-terrain boots for the ever-stylish man. As peaceful as a good wholesome hike can be, the trails can often wear a little thin. It’s a problem, come to think of it, shared with your hiking boot’s laces. 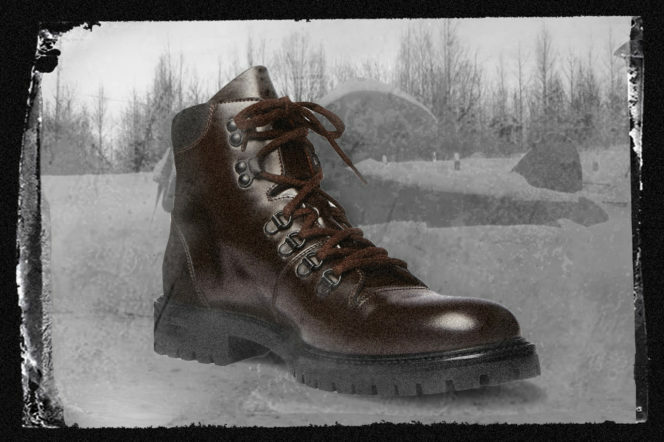 Kill two birds, then, with these boots. Not only unique in burnt red, they come with four different sets of laces — a customisation option ideal for replacing broken laces and allaying boredom alike. 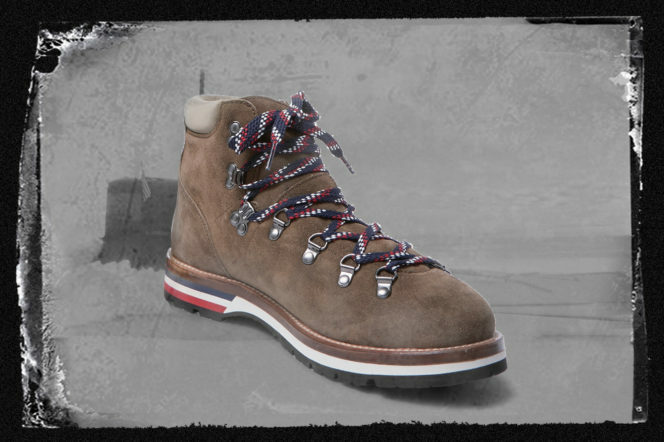 Stitched into sturdy existence from mushroom suede and Vibram rubber soles, these Moncler hiking boots fly the flag for France — literally. Winding up the laces and cast into the very fabric of the midsoles, the French tricolour is all over these boots. So what better kicks to kick around in on the Alpine passes this winter than France’s finest? 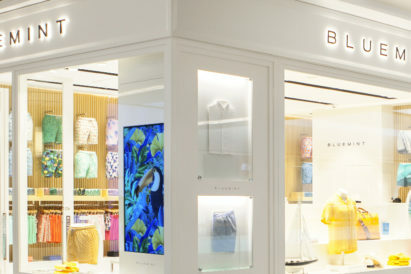 They’re the most expensive on this list — but for good reason. The Italian brand’s foot-in-the-door is dressed in the sturdiest rubber lug soles, toughest burnished-leather and most generously-padded collars. 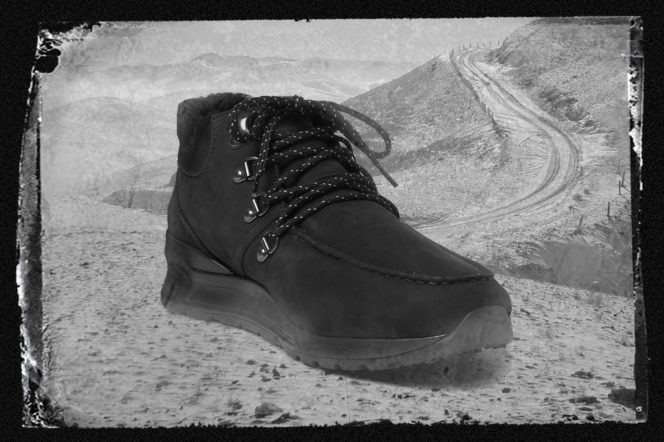 These are boots that mean business, and will support and comfort the feet of even the most seasoned mountaineer. 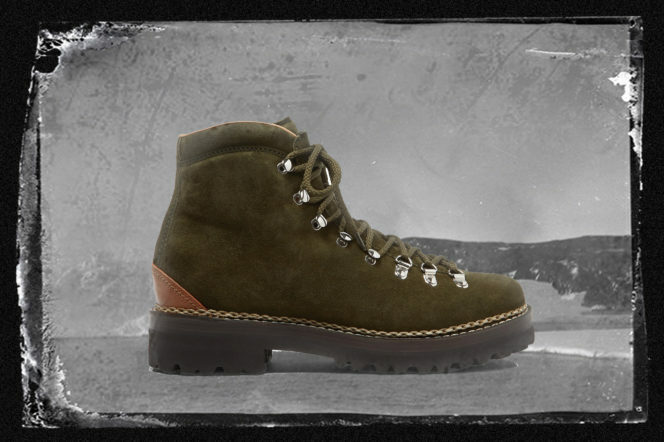 Aside from the luscious green suede uppers — seriously, just look at them — there are other factors that make these boots fantastic. Inspired by the archives of Ralph Lauren, these Vibram-soled sensations are lined with leather to ensure they’ll feel comfortable to walk in all-day long. 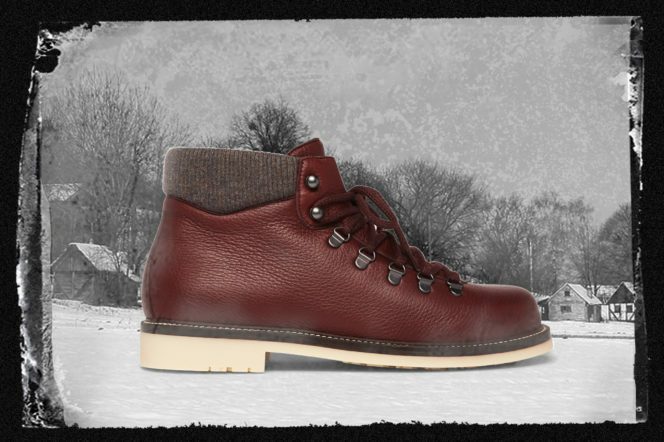 So, as tenacious a trekker as you may be, Ralph’s got you — and your feet — covered.